We Refill all CO2 Tanks and CO2 Cylinders while you wait. Because we Fill with liquid CO2 pumps we can give you a FULL charge in your CO2 Tanks and CO2 Cylinders. Operators who fill by transfer hose (i.e. home brew supply stores) cannot properly (fully) Fill a CO2 Tank. Broward Nelson Fountain Service supplies Nitrogen, Beer Mix and CO2 for all your Beer Dispensing needs. Dark Beers such as Guinness require Beer Mix to prevent over carbonation of the Beer Keg. We also sell Nitrogen in 20 and 50 lb. sizes for customers with Beer Blenders. We believe in "ONE STOP SHOPPING" where one phone call will handle all your Home Brewing Beer dispensing needs! 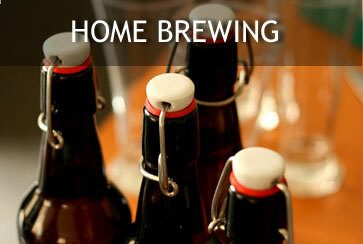 Call 800.262.8265 to schedule your delivery or for more information regarding Home Brewing.